Before the first personal computers began appearing about 30 years ago (originally as kits you built yourself), computer software was something your company wrote itself after buying a multi-million-dollar piece of hardware or that you paid IBM to install and maintain for you. The birth of the software industry only happened when there were enough PCs being bought to make it worthwhile to sell software to tens of thousands or more users. Perhaps because the software industry came of age before the retail world was willing to make shelf space available, there have always been those software authors/publishers who have clung to the grass-roots methods of distribution  giving away a copy of your software for free, trusting in the end users to eventually buy a copy out of honor or a desire for a version with more power and features. So even in an age when a software company is one of the world's most powerful corporations, there remains room for the lonely entrerpreneur looking to make a living by selling his software, often by distributing a copy for free over the Internet. For the last few years, whenever I was looking for a utility or tool, I'd head to Shareware.com or Downloads.com, the two file banks maintained by c|net. But after a recent column about the lack of tools included with the MacOS (like ftp or telnet), reader Roy Lovejoy wrote in recommending I try out Tucows for finding the Mac utilities I was looking for. It turns out that Tucows is a treasure-trove of shareware, freeware and public domain software. Not only are the major operating systems supported  Windows, MacOS, Linux  but so are OS/2, BeOS and even QNX, a free Unix-based OS. What sets Tucows apart is the fact the most of the files available for download also have reviews associated with them, so you can get a feel for a program's capabilities and weaksnesses before installing it. 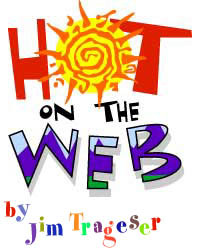 Originally separate sites, Shareware.com and Download.com are now closely intertwined sister sites, both owned by c|net. Lately they've become even more alike. Until recently, Download.com still offered files from older systems, like Amiga, Atari and DOS, but like Shareware.com is now limited to Windows, Mac and Linux. Too bad. Between the two sites, though, there must be millions of files available. For finding files for computer gaming, I've yet to find a better locale than FilePlanet. Listing almost a quarter of a million files, FilePlanet is headquarters for fans of games ranging from Quake to Half-Life to StarCraft. Published by GameSpy Industries, the same folks who developed the GameSpy server locator (to help you find active multiplayer games of Quake, Half-Life, etc. ), FilePLanet is the place to go to find the latest mods, levels and maps for just about any game. I'm a member of a weekly LAN gaming group, and right now we're hooked heavily on the CounterStrike mod for Half-Life. As much as we play it, though, the various levels get old after awhile  you can only rescue the hostages from the Italian villa so many times before both sides start getting bored. But by stopping by FilePlanet on a semi-regular basis, we can get all the latest CounterStrike maps. Nothing like a new level none of us have ever played before to even up the sides in a hurry. The early crowd also likes to get in a quick game of StarCraft or PGA 2000 golf before everyone shows up and CounterStrike gets going. Again, you can find all the latest course files or StarCraft maps at FilePlanet. Oh, and did I forget to mention that it's all free? Revenue seems to come from the numerous banner ads  game publishers must find the prospect of access to all those gaming addicts too lucrative to resist. If there's a complaint, it's a minor one: Due to heavy traffic, FilePlanet recently implemented a new metered download system  if the servers reach a certain capacity, you have to wait your turn before starting your own download. While this makes for a quicker download once you're actually there, it can be frustrating in the meantime.